This memoir provides a glimpse into the well-known and long-standing local Bedford company of W. & H. Peacock during the years 1902-1988. The author draws on a wide variety of sources, many from his own collection, including property instruction books, business ephemera and auctioneers’ handbooks and also from the recollections of his colleagues. 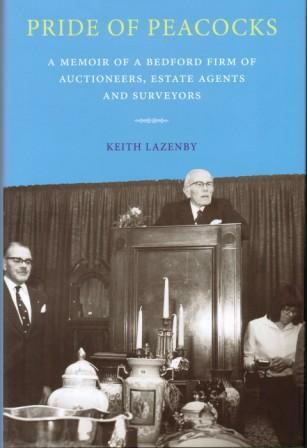 The memoir includes information about other well-known firms of auctioneers and estate agents in the area and is the first to tell a story of auctioneering and estate agency in Bedfordshire. 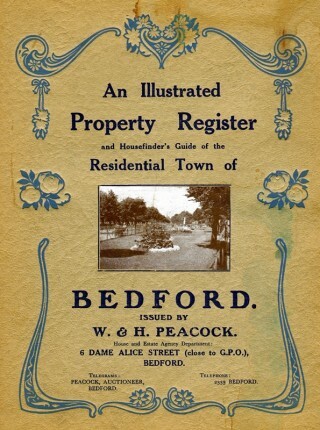 Of lasting value to local, family and social historians is the appendix of all known property auctions undertaken by Peacocks. Transcribed from the original auctioneers’ handbooks (now lost), the list has been supplemented with references to newspaper advertisements and auction catalogues in the Bedfordshire and Luton Archives and Records Service. The auction records give, where possible, the date and venue of the auction, a description of the property and the auction price. Some additional information is provided if known, such as the name of the person instructing Peacocks, the names of tenants and the rental value of the property. The introduction by Richard Moore-Colyer explores the history of auctioneering in England from the seventeenth century, when auctions were conducted very differently. Keith Lazenby was born in Bedford and articled to W. and H. Peacock after leaving school. He remained with the company throughout his working life and became a partner in 1964.